Asiana Airlines is a Seoul based airline carrier in South Korea. Formerly known as Seoul Airlines, Asiana is a member of the Star Alliance group and operates scheduled flights to 12 domestic destinations in South Korea and 73 international flight destinations around the globe. 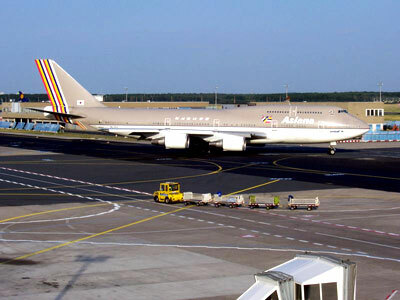 As of October 2007, Asiana Airlines passenger fleet include aircraft model types such as Airbus A320, A321, A330, Boeing 737, 747, 767 and 777. Asiana Airlines Flights To Airports Worldwide.